As a photographer, I am always looking for new places to aim my camera. The best part of living in the San Francisco Bay Area is that in any season or weather, there is always something wonderful to shoot. 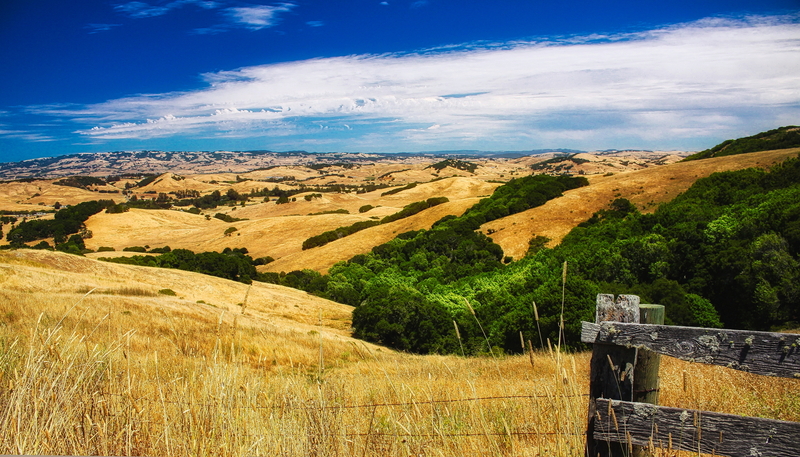 This photo shows the rolling hills of west Sonoma County in late summer when the grasses are golden and dry from lack of rain, which won't come until early fall.